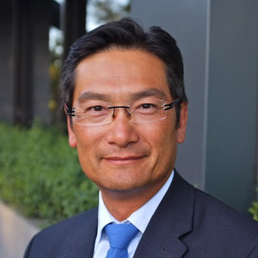 Mr. Douglas Li is a consultant orthopaedic surgeon specialising in shoulder and knee surgery. All appointments, enquiries and correspondence are to be made to Mr Li′s main rooms. Mr. Douglas Li is a consultant orthopaedic surgeon specialising in shoulder and knee conditions. He was trained both in Australia and internationally. Born and educated in Melbourne, Mr. Li attained his medical degree at Monash University in 1992. He subsequently completed his orthopaedic surgery specialty training in 2001 to become a Fellow of the Royal Australasian College of Surgeons. He pursued his interests in shoulder and knee surgery with Fellowship positions in Scotland at the Old Royal Infirmary of Edinburgh in 2002, New Royal Infirmary of Edinburgh in 2003 and in Dublin, Ireland at the Cappagh National Orthopaedic Hospital in 2004. In 2005, Mr. Li returned to Melbourne to commence his private practice. His main rooms are in East Melbourne. He also consults in Caroline Springs, Rowville and Valewood Clinic. Mr. Li operates at The St Vincent’s Private Hospital (East Melbourne) and Glenferrie Private Hospital. Mr. Li previously held a public appointment with The Orthopaedic and Trauma Unit at The Alfred Hospital. He was as an Adjunct Lecturer with Monash University Medical School. He was involved in teaching orthopaedic trainees and medical undergraduates. He is a Fellow of The Australian Orthopaedic Association and a member of the Australian Society of Orthopaedic Surgeons. Mr Li is married with three sons. He is an avid golfer and a long suffering Richmond tragic.